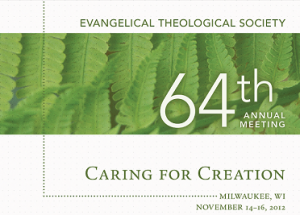 The conversation at ETS at points became heated, a reflection of the reality that we as Christians, and especially American Evangelicals, should have something to say about the raging environmental cultural war, even if we forget to listen to other voices, from the global south, for example. When we enter into that war, are we equipped with a biblical worldview? Will we succumb to the demands of worldviews that are not our own? Will we have the type of self-awareness that can humbly admit that our worldviews have been compromised by pagan or modern ways of thinking? Or is the matter even more complex than simply pitting one worldview against the other? Maybe our moment, for Christian mission today, is one where the task is calling us to slow down and reabsorb our foundations again. How can we develop a robust Christian mission that responds to a groaning creation as well as the cries of those impoverished today, a position which is fueled by biblical thinking at its deepest? Basically our challenge begins at the training ground of the scriptures. We must think carefully through the worldviews offered therein. What does the Bible say about creation and the place of God and humanity within it? What is wrong with the world, and what is the solution? What kind of time do we see ourselves in? Our easy answers to these questions, which reflect little awareness of what the Bible actually says, reveals to us that modern and pagan ways of thinking have greatly shaped the lenses through which we read the Bible and experience the world. We must reclaim our own narrative in order to address this modern environmental epidemic. We have to chart a vision of a sacred earth based upon the limits of creation order that also avoids the objectification of creation. When we do so, many of our actions will follow suit. Our church will agree that each congregation needs a creation care group, as Bauckham suggested, that the whole church supports, which keeps us consistently thinking about creation care. We will develop a localism, as Moo suggested, that fosters a perspective of affinity for land but never looses sight of our responsibility in a global community. We will see afresh, as Moore suggested, that one of the biggest gifts we can give our children in an age of materialism and excess is to bring them out of our doors and into the wild places of our land where they can begin again to experience the beauty of creation and survive its harshness as well. Or we will get busy with highway cleanups or insulating the houses of our poorest neighbors, as Beisner suggested. 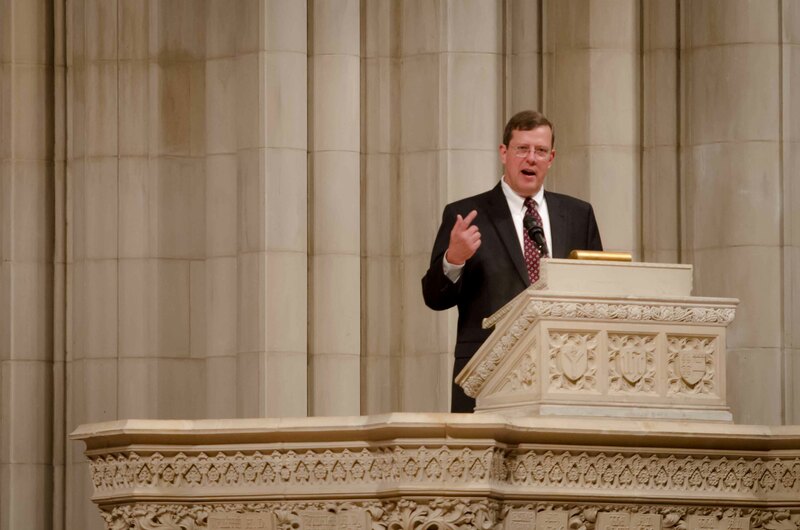 Ill finish here with a challenge from Douglas Moo: We must never simply use the Bible to fight our cultural wars. When we do so, we will always bend it to do our own will. We must continually form a Christian worldview within the Body. And when we do so together, we will be able to join in with the worldwide environmental movement while at the same time challenging it at its very real points of error. We must stand up against every attack against human worth, while resisting the tsunami wave of materialism that drowns our people today. Such a challenge might just force us to change everything about the way we live our lives. We might have to give over our shortsighted lifestyles to a limitless God, and enter fully into his story. But lets make sure as we do so, that it is the right story. PART II: A BIBLICAL WORLDVIEW? 1. Where is our bottom line; should we care ultimately for the welfare of humans or animals? 3. What does the Bible say about the nature of human freedom and sufficiency? As you can imagine, libraries of books have been written on these three questions. I lack the expertise to address them in detail in such a short report. I simply want to report on these three points from ETS for our further reflection. What is our Bottom Line: Should We Care Ultimately for the Welfare of Humans or Animals? Of course, the answer is both. But the realities of our day often times seem to force us one way or the other. Beisner seems clear in his approach. The bottom line is humanity. The pagan worldview of the environmental movement and its contraceptive (against further population) stance, attacks the basic worth of human dignity. Attempts to control the worlds population stand on the faulty assumption that the earth can handle no more of us. The solution to our current problem of widespread poverty is to use our ingenuity to bring sustainable energy and clean water, for example, to the worlds population. Human technology has enhanced the state of living in the developed world. Before the modern era, everyone except the wildly wealthy lived in abject poverty. Half of the babies survived birth, people did not live as long, and we had no way of purifying water. Nature was not subdued. We should continue our advancements for the good of humanity everywhere, and if this comes at the cost the extinction of habitats and their species, then the cost is worth the risk, though extinction has always been around, and it is bad science anyway that convinces us that more species are dying today than ever before. The other way of answering this question is simply: no. We should not make advancements in technology if it means the extinction of species. If we had to choose between developing a plot of land that contained the only substance that would keep a million people alive, and we knew at the same time that we might wipe out a species of frog in the process, the answer is clear. Well find another way. And in response to Beisner, others wondered this: was the pre-modern world as bad as you make it out to be? Have we really evolved? Yes technologies have improved the quantity of life, but has it improved the quality? Yes we didnt have ways to purify water, but did the water need purifying then? And shouldnt the people in the most abject levels of poverty today have a say in what kind of technologies should be developed at the cost of their way of life? Are we, the scientific moderns, the heroes destined to rid the world of evil? You can see that the answer to this question is not easy. It basically comes down to how we answer this question: What is wrong with the world, and what is the solution? Biblical Worldview Questions: The realties of our world force us sometimes to choose between human life and animal life. How does the gospel redefine reality? How could the cross-shaped life of Gods people teach us to approach our environmental problems today? What does the Bible say is wrong with the world? And what is its solution? Can you feel the weight of this question? For centuries, Protestants have answered it along with the great reformers: the gospel is justification by grace through faith. Beisner held this definition of the gospel, and you can see how he might take issue with groups that implicitly change the gospel. This was his charge directly against Blessed Earth, the only time that the Sleeths were mentioned in the sessions that I attended. 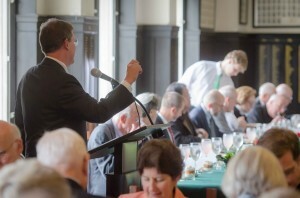 Beisner lumped Serve God, Save the Planet and The Gospel According to the Earth and their suggestions about the practicalities of the gospel among that group of law based religions. He quoted Colossians 2.20-23, Since you died with Christ to the elemental spiritual forces of this world; why, as though you still belonged to the world, do you submit to its rules. As a participant in the Blessed Earth community, I was not completely offended. His point actually clarified the point where a major difference exists. 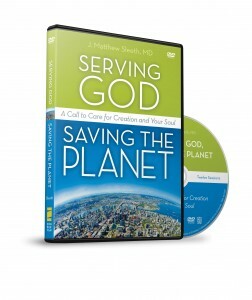 Of course Blessed Earth holds to the saving work of Jesus as a central focus. But Beisner may be defining gospel in a more narrow way than Blessed Earth, where for them the gospel is more about the announcement that Jesus is king over all the earth and has come to save, justify, and redeem all of creation for Gods full intentions. 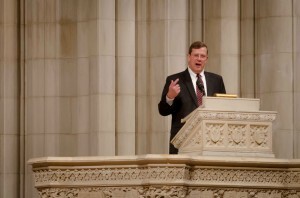 Is this larger perspective of the gospel more or less faithful to the biblical witness? This is obviously a much bigger discussion than we have time here to address. This point is this, though: part of the Evangelical division about the meaning of creation care falls down upon theological party lines, especially where definitions of the gospel itself are contested. Biblical Worldview Question: What is the gospel according to the biblical writers, and how is creation care a part of it? What Does the Bible Say about Freedom and Excess? Bauckham made an emphatic point that we must be very careful to know what the bible says about freedom and excess. He made a challenge against what he called the Modern American understanding of liberty, that mostly opposes regulations of any sort. One of Beisners main oppositions to the worldwide environmental movement is its inherent desire for global governance and policies that will attempt to rule us, electrical grids that would decide when we could use our appliances, for example. But what is the biblical understanding of freedom, asked Bauckham. Americans tend to think that our way of life is sacrosanct, he said. We tend to think that the real problems of our world, the problems of poverty and malnutrition are epidemics of the third world. But what about petroleum spills? What about mountain top removal? The real problem, he suggested, is that we are addicted to consumption. Weve lost the notion of sufficiency, Bauckham claimed, thats why we are devastating the earth. We are not demigods with limitless freedom to do to the earth whatever we imagine for the sake of our own flourishing. We are part of a community of creation with a very specific role. And as of right now, our addiction to unneeded material things feeds the machine that is exploiting the earth and its people. What way is worse? This question hung in the air at ETS, a worldview that errs on the side of paganism, or one that is primarily governed by a modernistic and materialist craving? Biblical Worldview Question: What does the bible say about the nature of human freedom and excess? Can we chart a biblical response that challenges materialism and avoids the diminishing of human need and worth? Creation Care. It appears on the surface to be an uncontroversial and noble cause, a potential rallying point of unity for peoples of many faiths. We can see the devastating effects of oilrig disasters with our naked eyes. Our intuitions tell us that there is something intrinsically wrong with billowing smoke stacks. Science is telling us about mass extinction of species and melting ice caps. We should all of us be alarmed. But not everyone thinks so. In fact, some see behind it all a conspiracy and a ploy for power. They disagree firmly with those who suggest that we should abide with the environmental policies of the global community. We are at a spiritual war with powers that seek to control global policy and want to force depopulation. Science has been co-opted, and Christians of all stripes should push back. 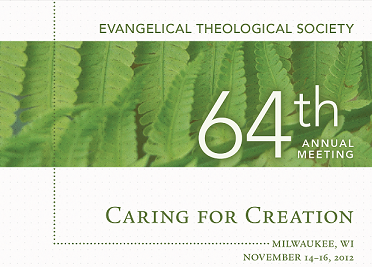 Of course there are a range of Christian responses to the matter, but organizers of the recent annual meeting of the Evangelical Theological Society found four voices that represented some of the more opposing views, and at points, sparks flew. 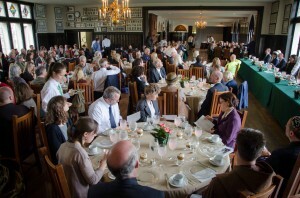 This report narrates some of the action at ETS 2012. From it, I want to discern the points of contention that arose there, which seem to divide Evangelicals in America today. These points of conflict are not the easiest to name, since most everybody thinks that we should care for the earth, in one way or another. 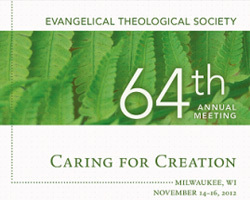 And when Evangelicals pull out the flagship biblical verses, as in the case of Genesis 1.27-28 at this years ETS conference, everybody basically agrees that humans have been made to love and steward Gods creation. But as the conversation went on, it became clear that not all contributors meant the same thing by Creation Care, even though they were using very similar language. What was different? It was the larger worldview behind their language where differences emerged, and it will do us all some good to tease out some elements of these worldviews. What is the biblical worldview and how does it challenge us to face the contemporary environmental crisis? This seems to be the starting question, and different Evangelicals answer differently based on their understanding of the question, though the answer to the to it is not as easy as many might think. Beisner approached the verse with a basic concern for the intense poverty that we find in developing nations of the world. He suggested that there is growing today a pagan, anti-Christian worldview that gave birth to and organizes the contemporary environmental movement. This worldview inspires powerful people who are pushing policies that have little impact on the earth and big impact on people. He suggested that stewardship in Genesis means that we should use our God-given role to bring sustainable energy and advanced technologies to solve the plight of those trapped in the worst positions of poverty in the world today. Beisner presented a tidal wave of scientific information that pointed to one conclusion: the earth isnt really in that bad of a position. Studies on rapid extinction of species are corrupted because they have intentionally sought for the conclusion they wanted to find. Climate change is happening, but then again it has always happened; the world is warming because of the ways that growing carbon emissions bounce off the clouds rather than burning our ozone. More on Beisners worldview below. Bauckham took a different reading. He thought that Beisners worldview, though clearly he was rightly concerned about world poverty, was corrupted by a modernistic interpretation of the true biblical worldview. Bauckham pointed out that the ideas of Francis Bacon from the sixteenth and seventeenth century, which led to a utilitarian view of creation, continue to influence our world today and press us to unlock the potential of creation itself. Bauckham suggested that Beisners worldview was a variation of Bacons and countered that stewardship in Genesis 1.28 was never meant to sanction an unlimited exploitation of creation for human benefits alone. Rather stewardship in Genesis was a call to grow in god-like love and delight for the created world. We are to become people who care about whole creations need for sustenance. Bauckham and Moo suggested that theologians must not dabble in science or approach it with overly suspicious eyes. There are enough reputable Christians scientists who believe that human-created climate change is upon us, and we should listen to their warnings. Beisner firmly disagreed. So the central question then is this: who has the right biblical worldview, which perhaps makes a few errors in judgment, and who has a foundationally corrupted understanding of the biblical worldview and yet holds to some correct biblical ideas? In this case, does Bauckham have a worldview corrupted by pagan anti-Christian views of reality? Or does Beisner have a worldview corrupted by modern views of the universe? The answer to this question is not at all easy to make; it is probably yes and no to both. Though if we can tease out some very divergent ways of seeing the world between Bauckham and Beisner, we might find a key that helps us discover a robustly Christian position towards our environment today. I think we can do so by looking at three questions: 1. Where is our bottom line; should we care ultimately for the welfare of humans or animals? 2. What is the gospel? 3. What does the Bible say about the nature of freedom and sufficiency? How we answer each question will reveal a lot about our basic worldview. Keith Jagger first met the Sleeths when they were neighbors in Wilmore, Kentucky, and were brought together by their shared passion for creation care. 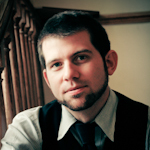 After completing his studies at Asbury Seminary, Keith moved to Scotland to study with N.T. Wright. As Blessed Earth”s “Anglo Correspondent.” Keith writes both from the perspective a PhD student studying creation care and a husband/father/follower of Jesus struggling to incorporate creation care principles in his daily life. You can read more of his writing at keithjagger.com or urban-abbey.com. Read part 1 of 7 (introduction) here. Read part 2 of 7 (A Lesson from the Earth) here. Read part 3 of 7 (We are so Connected) here. Read part 4 of 7 (The Cosmic Christ) here. What clues us into this restoration theme? The flood of prophetic images comes rushing through here. 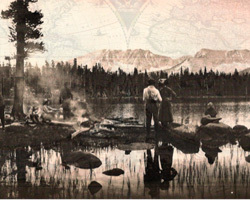 Wilderness, wild animals, and peace. Jesus is not on an escapist path. He doesnt want to get out of creation. He had his chance on the mountain of transfiguration, and he came back down. He had his chance on the Mount of Olives, and he came back to earth. When he survived the struggles of wilderness life among wild animals in the mountains of the Judean desert, he showed that he is interested not in the Greek vision of destruction but in the Jewish peaceable kingdom. The peaceable Kingdom is then what we should expect from the end, and (as I will show in my next post) the peaceable kingdom interprets the New Testament verses about the earth going up in flames. The peaceable kingdom is the wolf lying down with the lamb, where violence and death will exist no more. This is peace with creation and peace from creation, we will be able to sleep in the woods without threat. Some eco-theologians are uneasy with the idea of the peaceable kingdom. It looks too much like a domesticated version earth and its creatures at the hand of a human child. But can we not imagine a wild new creation full of the passionate aggression of lions and the calculated laughter of hyenas? The problem we have now is not the wildness of animals but that they and we die. The image in Isaiah is lying down together. Im sure there will be times of rest. But with bodies that cannot die, who knows what kind of unbridled play we might experience with the wild animals? The point is this: humans in all their childlike vulnerability together with the wild animals. Jesus begins the process in the Judean desert, and we can expect the peaceable kingdom to be more like restoration than destruction. So what are the implications of Jesus in the wilderness after his wet and earthy baptism? New creation, in the Jewish story, is about restoration and intense relational encounter with a wild earth. The new creation in this light is about valuing the whole creation and a lifestyle that seeks to actualize the new creation rather than trying to escape the old. The Jewish vision of the peaceable kingdom does not mean that we should open the cages of our zoos or try to live among the grizzlies today. To do so without resurrected bodies is a death wish. However, we can learn to see the animals of this world as future friends, and we can care for their little ones like Jesus did in the desert. We can protect our families and enemies from the dangers of the old age while making sure that we carry non-deadly spiders outside our house rather than flushing them. We can find ways to connect kids trapped in the urban jungle with the creatures displayed in our nature reserves. And we can bring the shade and transformation of the New Jerusalem today to the places overrun by concrete, gangs, or knee-high grass lots. This is part of wilderness spirituality. This is part of building for the peaceable kingdom on earth as it is in heaven. In conclusion, as one scholar so eloquently put it, Jesus baptism in the wilderness is about, facing up to reality. John encourages his hearers to celebrate change and forgiveness with a sacramental encounter with Earth through Earth’s water. Now, we are read to read about the fires of the end. Resource Bundle: Bauckham, Richard. From Alpha to Omega. Chapter 5 in Bible and Ecology: Rediscovering the Community of Creation. London: Darton, Longman and Todd, 2010. . Reading the Synoptic Gospels Ecologically. Chapter 5 in ed. David Horrell, et al. Ecological Hermeneutics: Biblical Historical and Theological Perspectives. London, New York: T&T Clark, 2010. Echlin, Edward, The Cosmic Jordan. Chapter 4 in The Cosmic Circle: Jesus and Ecology. Dublin: Columba Press, 2004. Loader, William, Good Newsfor the Earth? Reflections on Mark 1.1-15. in ed. 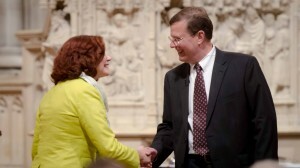 Norman Habel and Vicky Balabanski, The Earth Story in the New Testament. Vol. 5. Sheffield: Sheffield Academic Press, 2002. Read part 1 of 7 (introduction) here. Read part 2 of 7 (A Lesson from the Earth) here. Read part 3 of 7 (We are so Connected) here. In the last two posts, I talked about a larger paradigm for green theology (inaugurated eschatology) and Gods primary action plan for creation care (the transformation of believers). Before I conclude the series with an imaginary story illustrating what New Testament creation care might look like in real life, I will talk about the real Christian apocalypse, which I will do in two parts. To get there, though, I first need to talk about the second side of Gods action plan for the restoration of creation: worship. 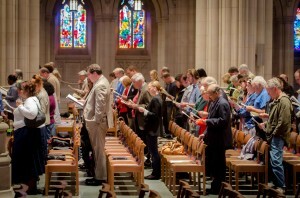 Worship seems so passive, so intangible and so unhelpful for our immanent crises on earth. This is especially true when life gets so dark that it seems that only an evil God could have made this place, or when the skeptical lover of creation wonders if worshipping Jesus is really an appropriate way to care for the earth. How can the exultation of a human lead to hope for non-humans? Nevertheless, the Bible tells us that the worship of a good and living Christ is a part of Gods plan for creation care, and a big part at that. If we want to understand the true problems behind our crises, if we want to really see nature with Gods eyes, we need to bring creation into our worshipping minds eye without ever worshipping creation. This means worshipping Jesus as sustainer of all things. Because of your faith, hope, and love that we heard about, we never stop praying for you and making petitions for you all. Our petition is that you might be filled with the knowledge of his will in all wisdom and spiritual understanding. This is the point: that you would have a lifestyle that finds a home with the Lord Jesus and honors his example. May you have every desire to please him, in all good works, producing fruit and growing up in the knowledge of God. We ask that you might be filled with the knowledge of his will so that you would have Jesus lifestyle, made possible by being made strong in all senses of the word strong. God does this work, making you strong with the might of his glory, growing patience and calm where you usually explode too quickly. He gives you joy so that you can give thanks to God, the One who makes you sufficient. He gives you a portion of the kingdom of his saints who live in the light. God drew us out from the power of darkness and transformed us into citizens of the kingdom of his beloved son, in whom we have freedom and the forgiveness of sins. Jesus is the image of the invisible God, the first fruit of all creation. All things were created in himthe visible and invisible, thrones and lordships, rulers and all powersin the heavens and the earth. Everything was created through him and for him. He existed before everybody and all things are sustained in him. 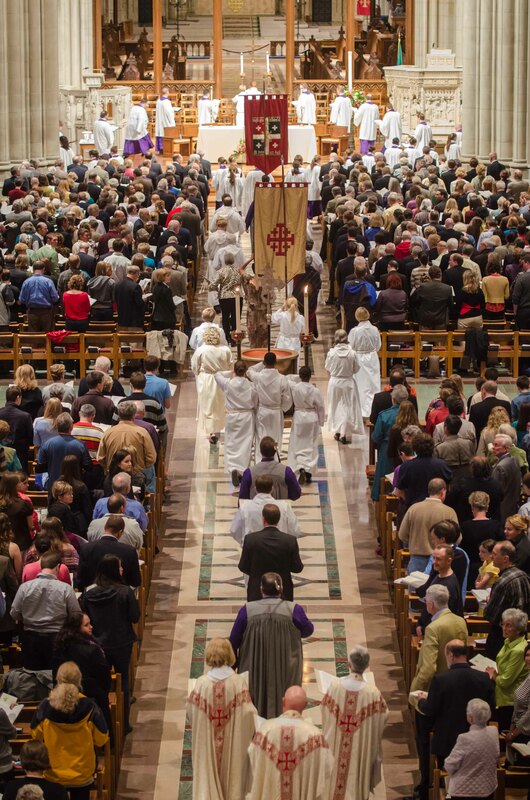 He is the head of the body of the church; he is the first from the dead. He has become the one who excels all, because all the fullness was glad to dwell in him and through him in order to reconcile all things in him. Making peace through the blood of the his cross, he reconciled things on the earth and things in the heavens Colossians 1.9-20. One of the most enduring resistances to creation care as godly living is the sentiment that Gods salvation through Jesus is about humans only. Pauls Jesus as Creator of all and Redeemer of all should put this resistance firmly to rest. Moreover, this means that, along with transformation of believers, worship of Jesus as cosmic Lord makes up the second crucial side of Gods plan for creation care. The way we worship or do not worship has tangible implications on the health of our globe. First, we learn from Colossians about Jesus as the Creator. Jesus existed before everybody. He is the First fruit of all creation. This does not mean, as some have said, that Jesus is the first one created. Rather it means that he is the leader. Paul calls him the sustainer of all things. Some scholars have said of the earth, that we have a biosphere connected by Christ, and this should be part of the content of our worship. Second, we learn from Colossians that Jesus is the Redeemer of all things, especially of the forces in the world that have gone astray from their allegiance to him. Thus, there are lessons we shouldnt take from the earth or from the way unfaithful angels have rebelled. Should we assume that violence in nature (a hawk stealing the field mouse, a lion taking down a baby zebra, the mountain lion mauling a wandering child through a national park) is part of the process of Gods first creation? We see these forces especially at work in Jesuss trials and death. They are also at work behind the large-scale destruction of our earth today. We tremble at the sight of these powers, because we sense that they are larger than the sum of bad human intentions. Our ecological ruin is about more than a society full of individuals with bad habits. There are powers at play that make it seem, from the dog-eat-dog of the natural world only, that we can only have life with necessary death, good with necessary evil. The patterns of our world make it seem like these forces are the true creators of this world, even if there is a good but detached God somewhere out there. This is the problem with the romantic thought that creation alone can reflect the full image of God. Paul knows this. This is why he presents Jesus as the clear image of the invisible God. Creation cannot reveal to us that the true nature of Gods work in the universe is self-giving sacrifice and that our future destiny is peace. Jesus can and does reveal it. Foundational under all the rebellious powers is Jesus who holds all together. In his death and resurrection, he has a planted a peace that will endure. The powers will submit. Though we dont know exactly how this process will come to that peace-filled end, we know that true worship is more than an enlightened escape from the real problems of the world. True worship is an action that joins in the uprooting of evil, particularly ecological ruin, through the worship of the cosmic Christ. What do we learn from Colossians, specifically about the true nature of universe-preserving worship? Investing in a relationship with Christ is creation care. It can lead to nothing else than a sacrificial ministry that must include care and concern for the created world. We usually see Jesus as Lord of our lives and friend, but we so often forget all that comes with Him: He is the one through whom everything around us was created, and He is the one interested in mending a broken and abused world. We dont worship creation; the story of the Hebrews and the destruction of the contemporary world should warn us about the consequences of idolatry. Rather we let creation into our worshipping minds eye and praise the one who created it and holds it all together. To relate to Jesus in worship is to see the world living and breathing because of Him. To relate to Jesus in worship is to adopt His care and concern for the health of this universe. Is it possible to have creation in mind during worship while not worshipping creation? Yes, very much so. While we cant assume that were seeing Gods face in creation, we can imagine the universe in all of its glory with its heart beating for the love of Christ. We can join with creation in praise to God. Balabanski, Vicky S. Hellenistic Cosmology and the Letter to the Colossians: Towards and Ecological Hermeneutic. Chapter 7 in ed. David Horrell, et al. Ecological Hermeneutics: Biblical Historical and Theological Perspectives. London, New York: T&T Clark, 2010. Bauckham, Richard. From Alpha to Omega. Chapter 5 in Bible and Ecology: Rediscovering the Community of Creation. London: Darton, Longman and Todd, 2010. Bouma-Prediger, Steven. What is the Connection Between Scripture and Ecology? : Biblical Wisdom and Ecological Vision. Chapter 4 in For the Beauty of the Earth: A Christian Vision for Creation Care. Engaging Culture 2nd ed. Grand Rapids: Baker Press, 2010.9. Read part 1 of 7 (introduction) here. Read part 2 of 7 (A Lesson from the Earth) here. I often think about the sufferings of this age, that, compared to the coming glory that will be revealed to us, they are a faded picture. For creation swirls in hope for the revelation of the daughters and sons of God. Creation was pressed under the weight of vanity, unwillingly, so long ago. The hope was that creation itself would be set free: from the slavery of decay to the freedom of Gods children turned aright. For we know that all creation is groaning in unison and joining its voice in agony, even up until today. But theres much more to it. Even those who possess the first fruit of the spiritand thats useven we believers groan among one another as we await the adoption, which is the transformation of our bodies. We were saved by hope. Though, it is not Hope if you can see what youre hoping for. If I do not see the thing I hope for, then I am waiting in patience. In it all, the spirit encircles us and joins in with us; the Spirit supports our weakness. For when we open our mouths to pray, we blurt out things that miss the point. But the Spirit steps in, groaning things that we couldnt put into words. The one who searches through hearts listens to the wisdom of the Spirit, because the Spirit prays in line with Gods will for the saints. And we know that all things work together for good, in line with his plan, for those who love God and who are called. This is the point of it, the spiritual destiny: to those he foresaw, he also forged for them a sharing in the likeness of the image of his son, who is the firstborn of a large family. Those he called, he also justified. Those same bunch (for whom he forged it all ahead of time), he also called them; those he justified, he also began turning them aright. Romans 8.18-30. Resource Bundle: Bauckham, Richard. 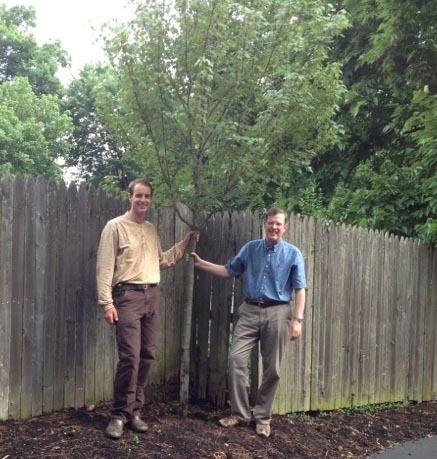 Bible and Ecology: Rediscovering the Community of Creation. London: Darton, Longman and Todd, 2010. Byrne, Brendon. An Ecological Reading of Romans 8.19-22: Possibilities and Hesitations. Chapter 6 in ed. David Horrell, et al. Ecological Hermeneutics: Biblical Historical and Theological Perspectives. London, New York: T&T Clark, 2010. Horrell, David G. Paul and the Redemption of the Cosmos. Chapter 7 in The Bible and the Environment: Towards a Critical Ecological Biblical Theology. Biblical Challenges in the Contemporary World. London: Equinox, 2010. Tonstad, Sigve. Creation Groaning in Labor Pains. Chapter 15 in ed. Norman Habel and Peter Trudinger, Exploring Ecological Hermeneutics. Atlanta: Society of Biblical Literature, 2008. Wright, NT. New Heavens and New Earth: A Biblical Picture of Christian Hope. Cambridge: Grove Books Limited, 1999. 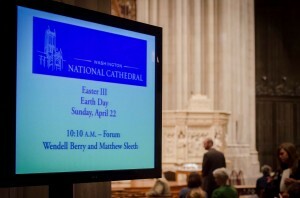 “Green thinking” is beginning to percolate throughout many of the nation’s churches. But how do you build on the momentum? How do you speed up the process? In spring 2011, Blessed Earth co-founders Matthew and Nancy Sleeth felt like God was leading them to the answer: Build an alliance of seminaries that will commit themselves to creation care and sustainable practices. 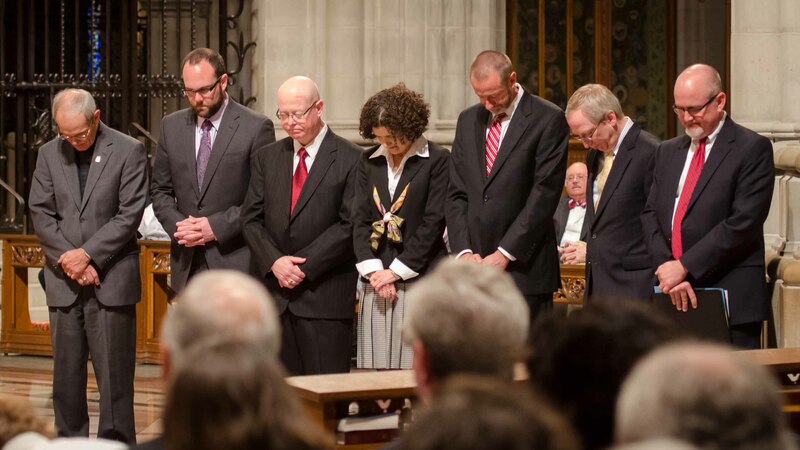 Following God’s calling, the Sleeths brought together a coalition of seminaries whose leaders have signed a covenant promising to implement specific stewardship initiatives. The result is the Seminary Stewardship Alliance — a diverse coalition representing a broad spectrum of theological thought. The SSA, whose members include many of the nation’s largest seminaries, is an exciting illustration of God’s desire to see the church embrace creation care. 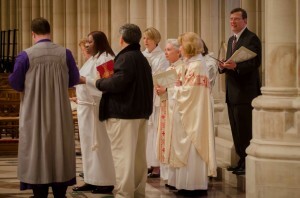 The 12 member seminaries came together on April 22, 2012 — Earth Day — to sign the covenant at the Washington National Cathedral. The SSA is an outgrowth of the Sleeths’ work with Asbury Theological Seminary in Kentucky, where Blessed Earth is based. For years, the Sleeths lived just two blocks from campus, which made it easy for Matthew and Nancy to build a relationship with Asbury. After Matthew began guest lecturing at the seminary and speaking at chapel services, Asbury asked the Sleeths for help in making their new family housing units more sustainable. Geothermal heating and cooling, super-insulation, and community gardens were just a few of the ideas adopted by the seminary. 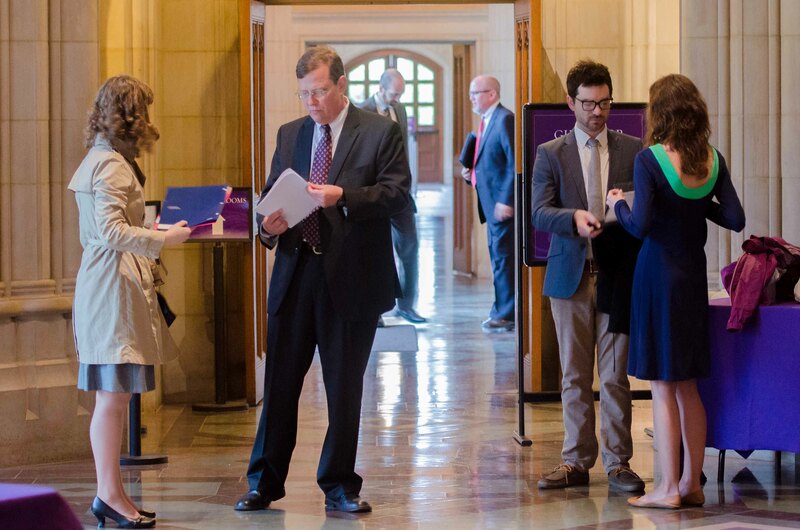 The Sleeths also helped Asbury start a Creation Care Covenant community, where students used Blessed Earth’s film series to study what the Bible has to say about stewarding God's creation in the context of community. But God’s vision was even bigger. 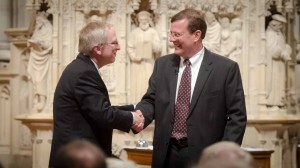 Step One was to meet with Asbury's President, Tim Tennent, and Fuller Theological Seminary’s President, Richard Mouw. They both immediately gave their full support to the project, helped write the covenant, and began calling other seminary presidents. Once this initial group supported the project, the pieces quickly fell into place. Shortly thereafter, in another example of God’s blessing on the project, the SSA received funding for its first five years. 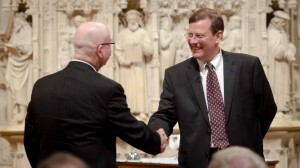 On April 22, 2012, the Sleeths watched as God’s vision became reality: Leaders from the flagship seminaries came to Washington, D.C., to sign the covenant and launch the SSA. 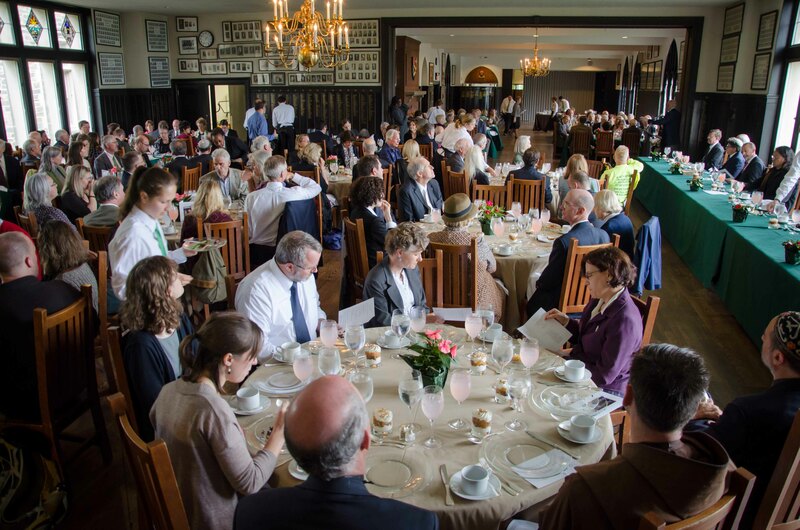 Beginning next fall, Blessed Earth will bring together faculty and administrative leaders from each member institution to encourage each other, share successes, and hold each other accountable. This SSA leadership program — and the bonds it fosters through regular meetings and on-going relationships — will be an important part of the SSA’s long-term outcomes. For Mothers Day this year, my family knew what would bring me the most joy: a picnic. My husband, Matthew, served as sous chef. Our daughter, Emma, made the fruit salad and homemade bread. Clark brought his wife, Valerie, along with her extraordinary storytelling abilities. The evening air was punctuated with cheers from a friendly baseball game in the park and the familiar chatter of well-fed robins and squirrels. After the meal, each member of my family shared three things they most appreciate about me. I cried more than once. Throughout the seasons, picnics make an ordinary meal anything but routine. Matthew and I picnicked on some of our first dates, and weve continued to dine alfresco regularly for three decades. Most meals have been sublime in their simplicitya blanket spread in the backyard makes even PLT (pickle, lettuce, and tomato) sandwiches taste special. When we travel by car, I try to pack picnic mealsa cheaper, healthier alternative to fast food. Weve picnicked at the beach, in the woods, in fields, in cemeteries, at rest stops, in parks, and on playgrounds. For our thirtieth anniversary, Matthew and I packed up homemade crab cakes and ate them on the grounds of a local estate. The historic buildings are closed in the evening, but the grounds are left open. We had the gardens to ourselveswith extra ambience supplied by friendly fireflies. Since moving from the suburbs to the city, we have been picnicking more than ever. 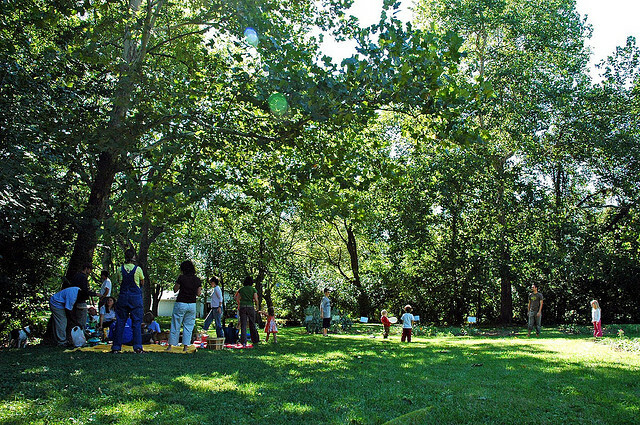 Within easy walking distance, weve discovered three parks with picnic tables. The park closest to us also has a gazebo, where weve enjoyed slices of seedless watermelon after our family Friday night dinners. Picnics also make for easy entertaining. Recently, we picnicked with friends and their three small kids in the park behind our house. The kids played on the equipment while the grown ups talked. Bethany made a warm pasta and pesto salad, and I brought cheese, fruit, and carrot cake to round out the meal. Bonus: no clean up. The birds ate up all the crumbs. 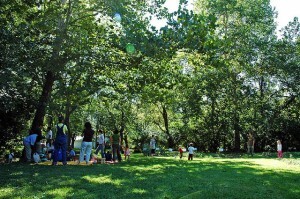 Picnics create a memorable oasisa time set apart from everyday lifeto be in nature and to enjoy Gods sustaining gifts. What can be more holy than saying grace and breaking bread together in the shade of a life-giving tree? Nancy Sleeth serves as the Managing Director for Blessed Earth and is the author of Go Green, Save Green: A Simple guide to saving time, money, and Gods green earth, the first-ever practical guide for going green from a faith perspective. His Good Work is Everywhere! It has been such a beautiful Spring! A few weeks ago, I had the opportunity to photograph at one of the most beautiful farms in Bourbon County, located in central KY. I was permitted to get out in the pasture with some mares and foals. I just sat down in the middle of the field. There was one particular foal who was only two weeks old. Even though he was a little afraid of me, curiosity got overrode all of that and he could not stay away, allowing me to touch his soft nose. 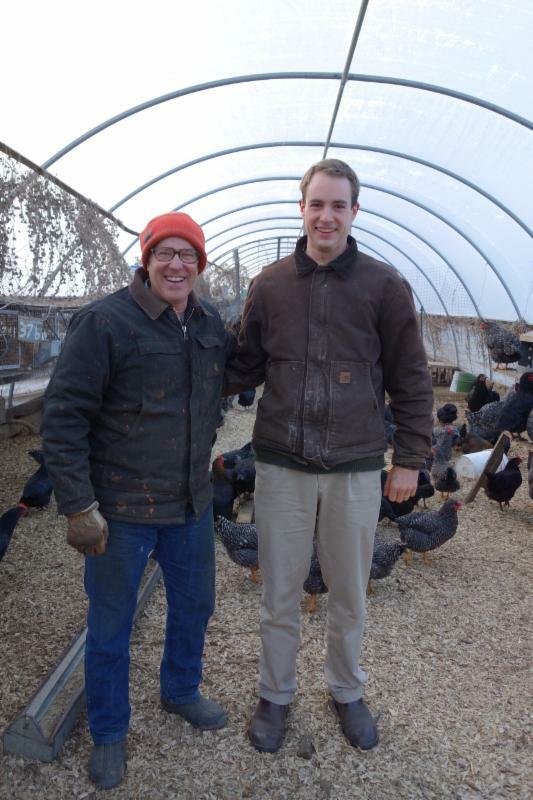 Shortly after this brief encounter, Steve, the owner of the farm came out to visit them too. I love the tenderness and care that he exhibited over this little guy. It kind of reminded me of a scene where Adam named the animals. Later, we talked about how this farm owner sees and appreciates God, the Creator, at work each day, while at work on the farm. The next time you are having a hard time sensing or connecting with God, just look around you. His good work is everywhere! Jeff Rogers – With twenty years of nature photography experience as well as a lay pastor background, Jeff brings an appreciation for God’s creation as well as spiritual guidance. His wife, Melissa, an emergency room physician, shares his passion for serving God and preserving the beauty of nature. When it comes to discovering eco-theology in the person of Jesus, scholars tell us to be careful. It is easy to cast him in our own image; and he may have used agricultural and rural imagery in order to speak to an agricultural and rural age. If he lived in Manhattan, he may have talked about subways, stock markets and skyscrapers. Verses like these alone cannot prove Jesuss view toward stewardship and the earth. We have to deal also with the fig trees that he withered, storms that he subdued and swine that he sent running to their destruction. If Jesus was a preservationist or a conservationistand if we want to discover that in himwe have to get a bigger framework. Because of what I am teaching you just noweven about how you cannot serve God and moneyheres what I have to say: dont worry about your life, what you will eat or what you will drink, or what you will wear. Is your life filled by food or your body made special by what you wear? Youre more than that. Look up to the birds of the sky: they do not scatter seeds, or harvest or build up their supplies in a silo. Your father in heaven feeds them. Are you that different from them? Okay, measure that length between your elbow and the tip of your finger. Who among you has the power to add that many inches to your height by worrying? Also why are you getting attached to your clothes? Take a lesson from the lilies of the field, how they grow. They do not work hard until they are weary. Nor do they sew. But I say to you that not even Solomonin all his gloryarrayed himself like one of these. But if God adorns the grass of the field, which is growing today and used for the flames of cooking tomorrow, then how much more will he look after you. Therefore dont worry or dwell on the day in your head over and over saying, What will I eat, or what will I drink, or how I will adorn myself? For the people all around you try to feed these anxieties. Its simple: your father in heaven knows that you need to be filled. Seek first the Kingdom of God and his ways of living. Then what you need will be there at the right time. This is important, so Ill say it again: dont worry about tomorrow. Tomorrow will worry about itself. There is enough evil in one day. Matthew 6.25-34. In this particular verse, Jesus is proclaiming a great restoration of creation. It is part of his larger, Inaugurated Eschatology plan. He is saying, Your neighbors worry about what they will eat and wear. And once, you went without clothes or food. But if you trust in God, you will be clothed and full, just like the animals and flowers in the new creation, which is starting now. This is a gutsy statement, because it depends on addicted people healing, and it depends on Gods people playing their part in inaugurated eschatology. Jesus is putting a lot of trust in the Holy Spirit and the church here. There are a couple more points to take from this verse: (1) the burning of grass you find at the end of Matthew 6 is not about the destruction of the world, like some people think. It is a metaphor about Gods trustworthiness, which uses stove imagery. And (2) the Greek of this verse does not necessarily say, Look at the birds of the field, are you not worth more than them, as many translations say. It just as easily reads, Are you that different from these? This is not to diminish human worth; it is to elevate the worth of sparrows. The worth of every creature in Gods eyes is something that can be shown throughout the Bible. But (3) ultimately, this verse is about Gods provision and how crazy it is that we tend to worry so much about life. Worrying about life has deeper consequences, more than we usually realize. The type of worry that Jesus is talking about is not the, dont worry about the problems of the world. In fact, Inaugurated Eschatology insists that we play a role in feeding the hungry and clothing the naked. Thats a different kind of worry. This is the: were like kids who wake up in the dark of midnight and worry if we are alone. We cry out and question God. And he comesmore often than we realizeand scoops us from our covers. He holds us and sings us back to sleep for the night. When we live for weeks, months, or years thinking that God never came to get us, we start thinking that life is up to us, our success is up to us, and our happiness is up to us. And worry starts to drive us. Worry starts to numb us. And, though we cant often see it, worry leads us to consuming more than we need. And consuming more than we need leads to care-lessness for the earth and for our neighbors. Leske, Adrian. Matthew6.25-34: Human Anxiety and the Natural World. Chapter 2 in ed. Norman Habel and Vikcy Balabanski, The Earth Story in the New Testament. Vol. 5. Sheffield: Sheffield Academic Press, 2002. Wallace, Mark I. God is Green Chapter 1 in Finding God in the Singing River: Christianity, Spirit, Nature. Minneapolis: Fortress Press, 2005. And What Does God Require? And remember that you were a slave in the land of Egypt, and that Yahweh your God brought you out of there with a mighty hand and with an outstretched arm, Therefore, Yahweh your God has commanded you to keep the day of the sabbath. (Deut 5:14-15) So right here in the ten commandments, because God has saved his people, his people are commanded to honor Him by allowing their livestock to rest. As is true today livestock were maintained in Israel exclusively to facilitate the well-being of humanity. In Israel sheep, goats, cattle, oxen, and donkeys served the populace with wool, milk, meat, and sweat respectively. And of course, a 24-7 work week for those animals would have seemed the most advantageous economically from a human perspective. But in contrast to that assumed reality, these creatures are allotted a place in the sabbath ordinance of God. An Israelite was forbidden to consume the life and energy of his beast without compassion and care. Deut 25:4 is another law which addresses this topic. Here the Israelite is commanded not to muzzle his ox while he drags the threshing sledge for his master. In the smallholder farms of the Central Hill Country, the cereal crop was absolutely crucial to the survival of the community. And the Iron Age farmer relied heavily upon the labor of his beast for the long and arduous task of threshing (extracting the precious grain from the stalks in which it grew). Once cleaned and stored, this grain would serve as the primary food staple for man and beast. And in this subsistence economy, every kilo counted. Baruch Rosen, an Israeli archaeologist of notable reputation, has done an arresting calculation of exactly how many calories were necessary to sustain the average Israelite village of 100 souls. Operating off of data culled from the known Iron I villages, Rosen estimates that the typical village would experience an annual shortfall of 15,000,000 calories a year. Anticipating that the average family included five souls, this would mean an annual shortfall of sixty days of food for the family. Why is this significant? Because it means that the three to four kilos (5-7 lbs) of grain that an ox might consume over the course of a day of threshing made a difference. Yet God commands Israel to allow the beast who served them the opportunity to enjoy its life and work and to benefit from the fruit of its labors. In other words, even the ox was allowed to feast on harvest day. Note that in Israel’s case, allowing their beasts the opportunity to enjoy the benefit and joy of their own labor would necessarily cut into the farmer’s profits, and in many cases even their essential food supply. So now we are forced to ask, how might these deuteronomic laws reflect on current practices in Americaspecifically the billions of animals who serve us in Americas factory farms? 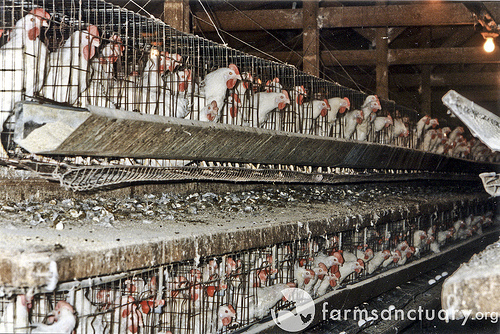 Factory farming is the practice of raising middle school boarding schools North CarolinaJake Housecomes to Citizen middle school boarding schools with a proven track record in both the private sector and education. 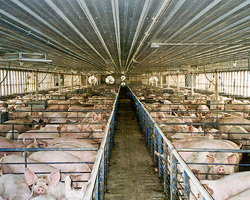 href=”http://en.wikipedia.org/wiki/Farm_animals”>livestock in confinement at high-stocking density, where the farm operates essentially as a factory whose end product is protein units. 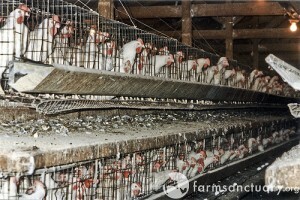 Confined animals burn fewer calories, their excrement is mass-managed (or mismanaged as many argue), and their fertility and gestation fully controlled. 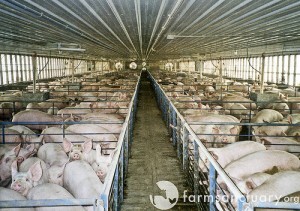 As regards America’s most lucrative agricultural product, pigs, confinement has been distilled into an exact science: twenty 230 lb animals per 7.5 foot-square pen, housed upon metal-grated flooring, in climate controlled conditions, who are never actually exposed to the light of day. 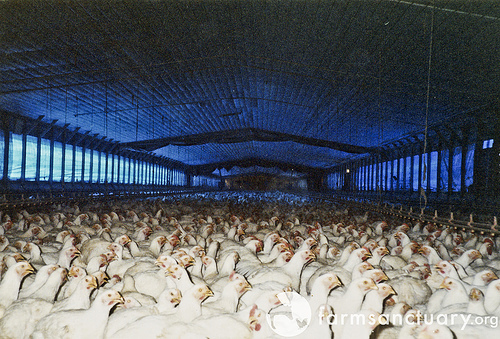 These animals are sustained in such crowded and filthy conditions that movement is difficult, natural behaviors impossible, and antibiotics are essential to the control of infection. Sows (typically a 500 lb creature) are separately housed, living out their lives in 7-foot by 22-inch metal gestation crates from which they are never released, even in the process of giving birth. They are artificially inseminated to deliver an average of eight litters, litters inflated beyond their natural carrying capacity by fertility drugs. A staple of their diet is the rendered remains of their deceased pen-mates. Surely if God is offended by boiling a kid in its mother’s milk (Deut 14:21), we should be concerned that dead sows are routinely ground up and fed to their offspring. Reading of the standard treatment that these animals endure, one cannot help but think of Ezekiel’s outcry against the shepherds of Israel in Ezek 34:3-4: “You eat the fat and clothe yourselves with the wool, you slaughter the fat without feeding the flock. Those who are sickly you have not strengthened, the diseased you have not healed, those with fractures you have not bound up, the scattered you have not brought back, nor have you sought for the lost; but with force and with severity you have dominated them.” But as the “New Agriculture” reports, all of these innovations make these production units (i.e. 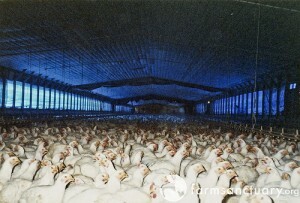 animate creatures) easier to manage, maintain, medicate and slaughter. 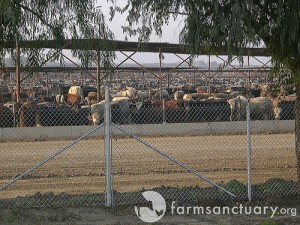 And the rapidly escalating market for meat for human consumption, in the third world in particular, is voiced as the rationale for mass-confinement animal husbandry. As Matthew Scully painfully illustrates in his 2002 exposé of the industry, Dominion: The Power of Man, the Suffering of Animals, and the Call to Mercy,in our country, the abuses to which domesticated animals are routinely subjected are nearly too horrific to report. This forces my heart to ask, is this what Yahweh intended for the creatures he entrusted to humanity’s care? Sandra Richter is Professor of Old Testament at Wesley Biblical Seminary and Affiliate Professor of Old Testament at Asbury Theological Seminary. She is a graduate of Gordon-Conwell Theological Seminary and Harvard University’s Near Eastern Language and Civilizations department. She is a popular speaker and has published on an array of topics. Her most recent book is The Epic of Eden: A Christian Entry into the Old Testament (InterVarsity Press, 2008). 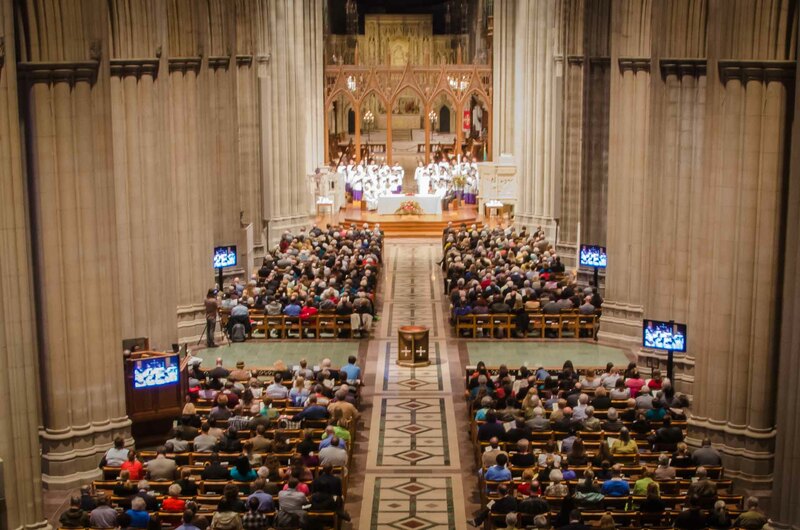 Matthew and Nancy Sleeth, and the rest of the Blessed Earth team, want to thank you for your prayers and encouragement surrounding our huge weekend of events in the nation”s capital. It all went better than we could have imagined and we are excited for the next phase of work around the Seminary Stewardship Alliance and the Blessed Earth Year with the National Cathedral. 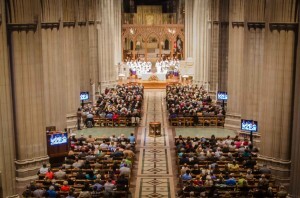 In case you missed the events last weekend, here are the links to the video from the National Cathedral in Washington, D.C.
Feel free to watch these links in your church or small group. If you do, please let us know your reflections and how your faith community is practicing Creation Care. What an incredible few days! Matthew and Nancy and the Blessed Earth team hardly stopped this past weekend and we are so very grateful for our partners and the National Cathedral for long hours of preparation. We will be releasing photos and video as well and reflections on what comes next. As we launch the Blessed Earth Year and follow up on the Seminary Stewardship Alliance we will have tons of news and exciting updates. But for now, we pause and give thanks to our Creator God for a marvelous Earth Day weekend in Washington D.C. Here are some selected images from the major events (you can click on the image for a larger view). Blessed Earth Film Series – Re-release news! We are excited to announce the re-release of our film series. You can buy the new DVD and guidebook curriculem by clicking here (just $26 for complete guidebook and twelve beautifully made short films). You can watch the Blessed Earth Film Series trailer here. To learn more, please click here. These materials are wonderful resources for any church or study group…especially as we encounter Earth Day and Christians are wondering about their role as stewards of God’s good earth. You cant trust an expert every time. Humans make mistakes. But when it comes to our future, health, and wealth, we love to hear from the professionals. And why shouldnt we? Theyve done more research than we have. Theyve thought longer and harder about the topic at hand. And theyve devoted their lives to a cause. So when we open our Biblesturning particularly to our New Testamentslooking for green scriptures, we would do well to catch up with the experts. That is the point of this blog series: to highlight some eco-wisdom from scholars, writers, leaders, and teachers of the New Testament. These posts are for men and women who want to become better Christians and stewards of the earth. But more than that, these articles are for those of us who want to avoid dead-end readings of the scriptures. We want to know what verses will change our communities and what verses are simply not about stewardship, even if we first thought so. We want to be ready for that moment when somebody uses our own scriptures to prove that God, after all, cares nothing for the earth. We dont want to be speechless then. In the big wide clash of ideas throughout Western culture, the jury is still out on whose version of reality we will adopt for brighter futureswill it be Buddhist, Pagan, Islamic, Christian? 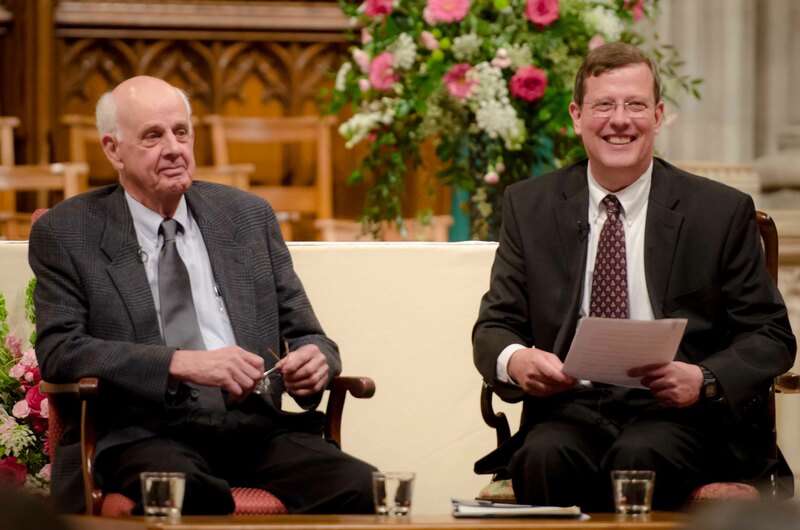 Dont you want to know what Christian scholars and leaders are saying in the conversation? Dont you want to know where they think the real ecological gold is in the Christian scriptures? Me too. So Ive done some reading, and Im going to give you a digest of their work. To get an overview of whats going on and whats being saidtheres far too much out there to include in this series; Im definitely not covering all the basesan image might help. (You can skip this next part if you care more about what the experts are saying than who they are). Imagine a polar bear holding a microphone. And on top of the microphone is a spinning globe. And on top of the globe is a party. You can see a hundred groups up there chatting in small circles, but you notice three particular conversations. 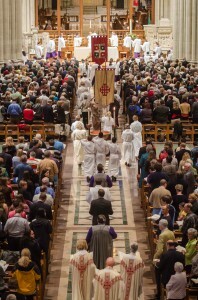 One is a council of bishops and priests. The other is a group of surfers. The third is a group of academics and writers. 1960s  The polar bear represents the fountainhead of much of our conversation: Lynn White. His important and now famous article accused Christianityand implicitly the New Testamentof being the problem and the source of our ecological crisis. 70s and 80s  The microphone represents the hundreds of people who have responded to him. Some who were happy with his conclusions; others were angrier. 90s- The globe represents the Harvard school. These are a group of scholars, who, in the mid-90s, began talking about an in-breaking ecozoic era, one in which the world religions were now all waking up to the sacredness of the earth. Contributors tended to favor a pantheist vision of space and time. The group produced a library of volumes, including Christianity and Ecology. Built upon the shoulders ofget ready for some names you might like to knowAlfred White Northead, Teilhard de Chardin, and Thomas Berry, they worked across religious boundaries to join together this worldwide awakening. 2000- today: Next, the conversation on top of the globe represents the global discussion about our future. They all wonder: whose version of reality will help us avoid total ecological destruction? 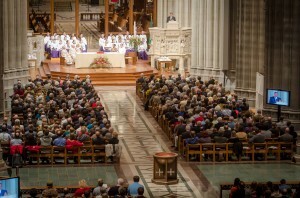 The circle of bishops represents the church leaders who pullin various waysfrom Christian scriptures. 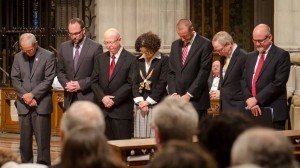 Voices include NT Wright, James Jones, Matthew Fox, Desmond Tutu, and John Chryssavgis. The second conversation includes a group of surfersa lot of them really love surfing like some Christians really like Churchwho think we should return to a type of neo-paganism, which deeply reveres the sacred earth. This, Dark Green Religion finds traction in a periodical called, Journal for the Study of Religion, Nature, and Culture. The third conversation represents the hundreds, if not thousands of scholars, writers, and thinkers who advocate one form of green-theology or another. 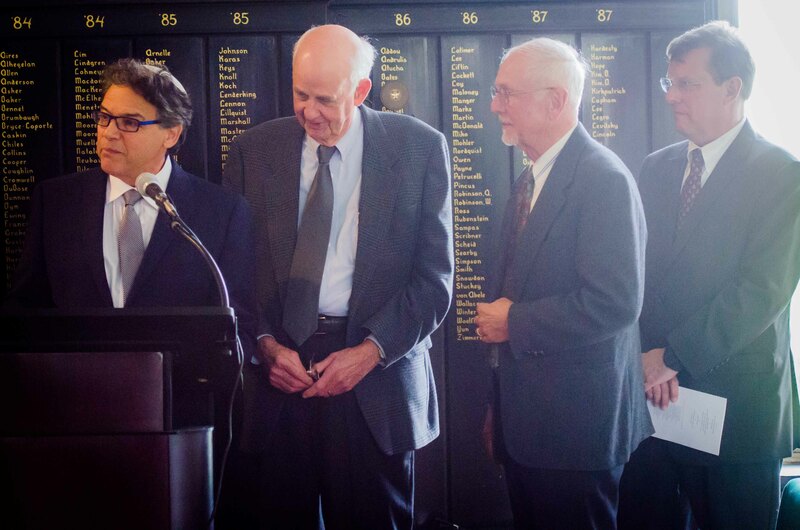 Three prominent voices include David Horrell (and his team who have just completed a project called Ecological Hermeneutics), Norm Habel (and his group who have just completed a project called, The Earth Bible) and a group who has published the, Green Bible, a green letter edition of the NRSV, which highlights eco-theological verses. 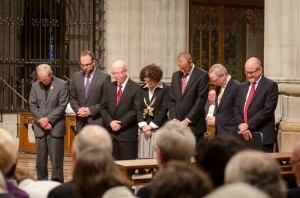 Other scholars include Richard Bauckham, Edward P. Echlin, Ellen Davis, Sigurd Bergman, Howard Snyder, and Jurgen Moltmann. Its not clear, in the end, who is listening to whom in the conversation. Ive chosen to write on five classic texts that theologians use for making green theology. 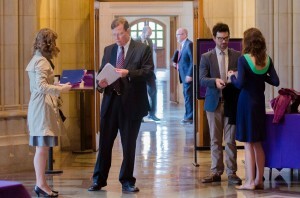 In each post, Ive made a new English paraphrase from the original Greek and tried to highlight points of conversation from those circles of experts. One of the difficult parts about reading green theology in the New Testament, is that most of the good stuff is in the Hebrew Bible. From the creation story, to Jobs vision of creation, to creation praising in the Psalms, to the visions of new creation in the prophetsthe OT is the place to go for the green stuff. Yes, green theology is in the New Testament. But you just have to look a little more carefully and remember that the OT was Jesuss Bible; a lot of the NT assumes you are super familiar with the OT as scripture. At the end of each post, I give you three references to books, articles or articles in books for the eager reader to explore. My goal is that you would get your hands on some of the gold from the experts. I hope this series will help you see how a green reading of the New Testament is very possible and, given a little work on our part, will transform our vision of Christian spirituality. the positive response. Nancy and the Blessed Earth team are most grateful. Speaking from experience, Sleeth challenges us to simplify in every area of life  in our homes, technology and finances. She then gently encourages us to spend time focusing on what really matters  nature, service, security, community, families and faith. Using the Amish communities as an example, we are given practical examples of how to achieve simplicity in a modern world. No, she does not recommend living off the grid and giving up our cars in exchange for horses, but she does show us how to tread lightly on the earth and readjust our priorities to become ones who live a life actively seeking after God and showing him to others through our actions. Short chapters and a down-to-earth writing style made Almost Amish easy to devour in a day. I have started to ponder the changes necessary to make life less frantic once again and, although it will be a slow process (my daughter informed me that she cannot live without technology), I know that the benefits will far outweigh the sacrifices. I encourage you to slow down enough to readAlmost Amish  it just might change your life.